Winter is the time of year that we always hear the most about electricity pricing. With the weather getting cooler and daylight shorter, the changes in your electricity usage are often reflected in the increase of your invoices. Depending on the state you live in, Australia’s weather is quite consistent in its behaviour (unless you live in Melbourne). It shouldn’t come as much of a shock then that the cost of electricity usage also changes with the seasons. This summer, the demand for electricity for air-conditioning was so high it caused black outs in many states. It doesn’t surprise providers that this usage was reflected in many high invoices due to increased consumption. 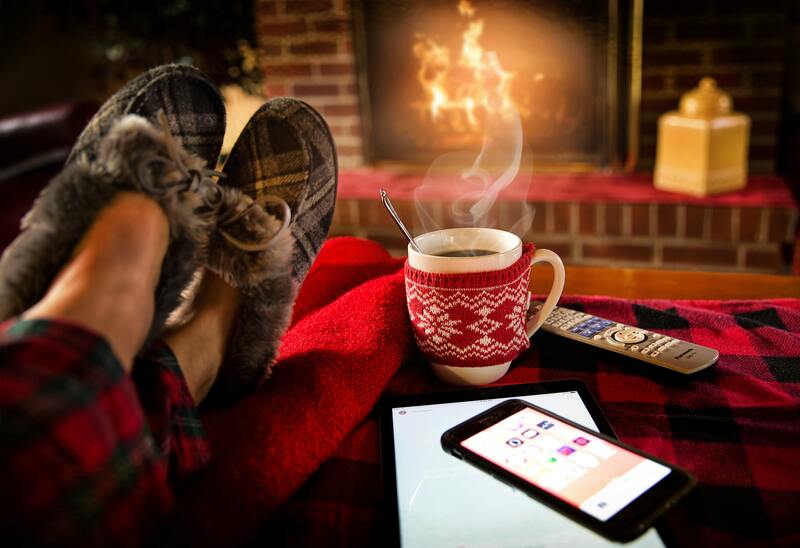 Moving into autumn and spring, trends show electricity usage and costs slowing down as the use of air-conditioning or heating appliances gradually reduces. This eases the pressure on monthly invoices and gives relief to customer’s hip pockets. Winter is one of those times of year where electricity usage depends on each individual’s usage habits and living situation. The increased use of reverse cycle heating, electric blankets and portable heaters all add up in terms of the amount of usage. This is the season when most customers will experience ‘bill shock’ as the use of these appliances, while intermittent draw larger amounts of electricity. This is something we hear very often from customers, that they are using portable heaters instead of their reverse cycle air conditioning units to save electricity during winter. Portable heaters are cheap to buy and expensive to run, especially over long periods. These appliances are suitable for small rooms and only running for short periods, those with a thermostat are more convenient as they allow temperature control. Reverse cycle air conditioning units are one of the most popular and energy efficient methods of heating the home. Available in different levels of energy star ratings and in varying sizes, units are easily compatible to heat or cool an open plan living area without hurting monthly invoices. The difference between these two options when it comes to the cost of electricity invoice can be quite dramatic. Sustainability Victoria has done the research and shows that the use of reverse cycle air conditioning can add on average $230 to your invoices per year, while portable plug in heaters can add on average $825 to your invoices per year. Winter is a great excuse to do some redecorating and it also adds options that can help reduce electricity invoices. Keep a throw over the arm rest of the couch to use when it gets chilly, this will reduce the likelihood of using the heating systems. Invest in a rug for major foot traffic areas. Rugs can refresh a space, add more dimension to a room and avoid contact with cold floors. Use a thicker blanket or quilt on your bed in winter. Using thicker blankets or quits at night will decrease the need to use electric blankets and remove the potential to forget to turn them off. With many apartments utilising large windows to maximise views and space, this also leaves the chance of heat loss to a larger degree without proper coverings. A single window can lose as much as 10x the heat as an insulated wall, fortunately this is an easy fix problem with the installation of thick curtains. Ensure well fitted curtains or blinds are added to all windows within your home and these are closed while the heating is on or at night to prevent heat loss. Heat can escape to parts of the home that aren’t in use and can result in heating appliances being used longer or on higher temperatures to compensate for this loss. Keep the heat in the parts of the house where the most activity takes place by closing off other rooms, also the addition of draft stoppers will help stop heat escaping through the gap between the door and floor. In well insulated homes, small gaps and cracks can cause cold air to seep in and undermine the best energy saving efforts. Usually found around doors, windows, skirting boards, architraves and anywhere there are joins, these pesky little cracks and gaps are easy to fix. Smaller gaps can be fixed with gap filler (caulk) and a caulking gun, for bigger gaps this may require polyurethane expanding foam from local hardware stores. Appliances account for 33% of energy usage in the home, choosing appliances that are energy efficient is a key move to ensuring electricity invoices don’t skyrocket. The energy rating system is applied to certain electrical appliances to allow easy identification of energy efficiency. Using a star rating out of 6, the higher the rating on a product the higher the energy efficiency and the more savings you will receive. This rating system is now compulsory in Australia, and can be found on fridges, dryers, washing machines and most white goods. Even with the best efforts, it is likely you will see an increase in electricity invoices over winter. The best action you can take is to be mindful of your electricity usage. Excessive use of clothes dryers, hang clothes on a clotheshorse in a warm room overnight instead. If your hot water is heated by electricity, ensure washing of clothes and dishes are done on full loads with cold water if possible. Pull appliances out at the plug when not in use. Clean the filters on your Reverse Cycle Air Conditioning unit. Budget for your invoices over winter by looking over trends from last year’s invoices. By being mindful and implementing some of the above suggestions, you can avoid ‘bill shock’ over the coming months.